Whether you like the short hikes or the longer ones, once you start to be committed to your hiking, you realize you need good gear in order to have a great experience. Sometimes you want to go for a day hike, sometimes you may take on a 5 day hiking trip. Either way, getting a small hiking backpack may become essential at some point. 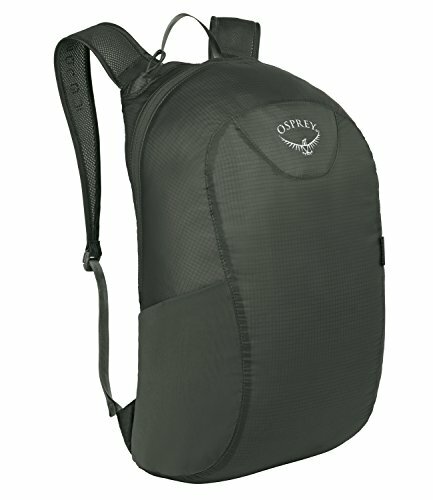 What makes good a small hiking backpack? When you’re on a hunt for a small hiking backpack it means you’re going for a shorter hike so you would only need some essentials on you. 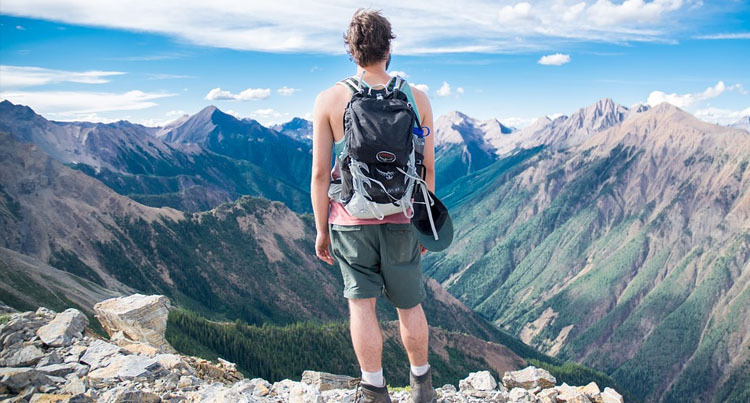 This doesn’t mean your small hiking backpack has to be less durable or less organized. By contrary, no matter how small it is, you still want it to be tough and lightweight. You want your small hiking backpack to be at least water resistant (if not waterproof) since chances are it may not have a built-in rain cover. It needs to be well organized and to give you plenty of space for your essentials for the short hike. Looks aren’t important, but it wouldn’t hurt either. 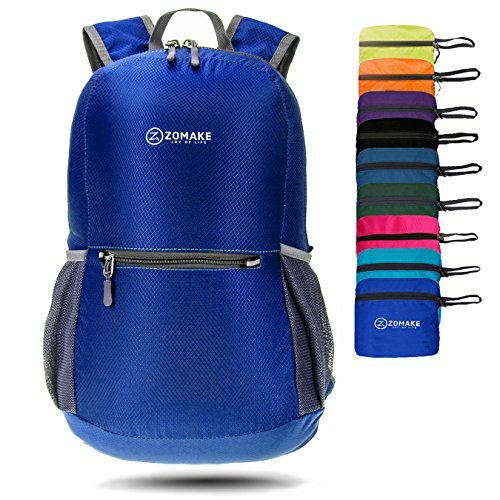 A small hiking backpack that comes in bright colors is easier to spot and, therefore, more useful. No matter how small you decide your hiking backpack needs to be, the market gives you various options so you only need to check your wallet first. 1). 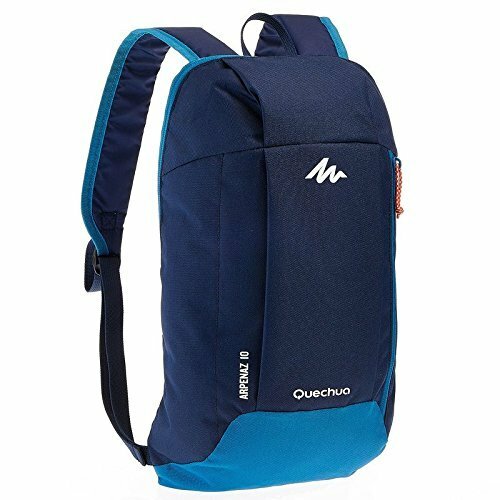 Even though it doesn’t show, the X-Sports Decathlon QUECHUA Kids Adults Outdoor Backpack Daypack Mini Small Bookbags 10L is one dependable backpack that you may easily take along when traveling or planning a short hike. Made with water and tear resistant nylon material, the backpack is well made and has a durability feel attached to it. Despite its size, the backpack gives two main compartments to organize your small essentials. It has a 10L capacity and it’s big enough to fit an iPad, a textbook, some clothes and pens. The backpack is lightweight, but handles a load on a short hike. The shoulder straps are long and easy to adjust. They’re also well-padded so it’s comfortable to wear the backpack for quite some time. And now that we’re talking about comfort, we also have to mention the thin padding on the backside that makes any trip easy. Despite the few complaints, for the reliability and good material, not to mention the low price, the backpack is quite a bang for your buck. 2). Lightweight and reliable for the short hikes, the ZOMAKE Ultra Lightweight Packable Backpack Water Resistant Hiking Daypack is a good choice, especially when you’re going shopping on a tight budget. Made with good quality water and tear resistant nylon material, the backpack is a sure thing for any day hikes, day trips, or some camping trip. It packs very small into a pocket so you may easily take it with you in a suitcase or simply use it as an extra bag on some trip. You may also use it as a carry on if ever in the position of excess baggage. Despite its size, the backpack gives you nice organizing options and it main compartment has a 20L capacity. The backpack also features two bottle holders on both sides, which is always nice to have. You may also use the front pocket or the internal zippered one for the more valuable and smaller items. The build of the backpack is good and we notice the reinforcements in 31 places with Bar tack process, so the small hero takes the heavy load. The zippers match the build and they’re made with SBS metal. The backpack is easy to adjust for best comfort and also to lock firmly when on the move. All in all, for the little money you’re paying, the backpack is a great option when in need. 3). When it comes to the SNOWHALE Cycling Hiking Backpack Water-resistant Daypack, it’s a bit difficult to pinpoint why we like it the most. The backpack is made with tear and water resistant nylon and takes the intense use for a good amount of time. You get plenty of pockets to organize your items, both inside and outside the backpack. You may use the bottle holder safely as it features elastic fabric. As for the comfort, there are plenty of details that increase your comfort when on the move. The backpack features adjustable chest and waist straps, and the shoulder straps are well padded. The ventilation is good and you remain dry and fresh when using the backpack. The grab handle makes the backpack even more portable and the small reflective strap helps it become more visible at night. The resin sponge soft back makes a channel of air between your back and the pack so your back is always dry. The volume control system is effective and the backpack remains compact, no matter how loaded it is. Small, lightweight and quite stylish, the backpack is a great asset for any avid hiker. Regardless of the flaws, for the features and pretty looks, you shouldn’t hesitate give this one a try when in need. 4). Cute, small, and so functional, the Osprey Ultralight Stuff Pack is bringing so many good things to the table and you shouldn’t miss it if ever in need. The backpack is made with durable materials, taking the intense use. It has an 18L capacity and manages to be a dependable option for the short trips. As for the storage space, the backpack is also good since it gives you plenty of options. It features stretch mesh side pocket for your small gear or water bottles and has 3 exterior pockets altogether. We really like the backpack for its ingenious straps and the dual zippers that give you easy access from various points on the back. The air mesh harness ensures comfortable carry no matter where you go and the backpack is easy to use. It also packs down into its own carrying case so another problem solved. The straps are lightly padded, which makes the carry of a heavy load quite easy. Lightweight, water resistant and functional, the backpack looks also very nice. No matter how you see it, for the cute looks and reliability for the small hikes, the backpack is still a pretty option to write down on your shopping list. 5). 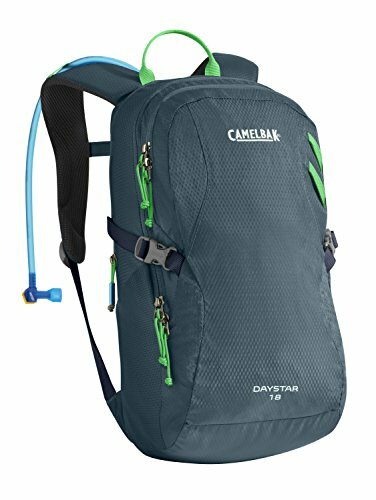 Especially designed for women, the CamelBak Women’s 2016 Day Star 18 Hydration Pack brings many good things to the table and you should scroll down for a detailed look. The backpack is made with Polyurethane Nylon and comes hydration ready. It reservoir has an easy open/close cap, dryer arms, center baffling, and lightweight fill port. It also has a low-profile design, increasing your comfort when on the move. As for the pack per say, we notice the air Channel back panel, the hike essentials organizer pocket and the side compression that takes care of the volume. You may use the side pockets if you think you’re going to need more water and don’t hesitate to try the attachment points for the trekking poles. The waist belt is easy to remove and the adjustability of the strap and back panels curve for a closer, better fit. Compact and giving you plenty of room, the backpack is small and dependable for any short hike. Giving the comfort, adjustability and its hydration pack, we’d say you should put your money at stake with this one. 6). 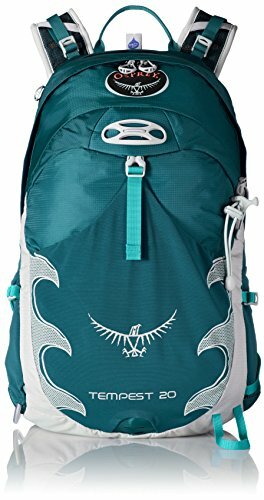 Offering many pockets to organize your belongings, the Osprey Packs Women’s Tempest 20 Backpack is a backpack that is going to be a nice surprise on any short hike. Made with textile, the backpack is designed for the high-speed action, giving you access to your items. It features a zippered front panel so that you take a quick look at your items. The zippered splash pocket, the mesh front panel and the two mesh side pockets give you plenty of space to store your essentials for the road. Let’s not forget about the two zippered pockets on the hip belt so you have fast access to your camera, GPS or some snacks. Even though it’s small and lightweight, the backpack is very comfortable and has a peripheral frame sheet so the load is evenly distributed every time. The Airscape mesh back panel keeps you nice and cool when hiking, whereas the shoulder harness and hip belt are very easy to adjust for the best fit. We also notice the InsideOut compression straps that keep everything in place. Not only the backpack comes hydration ready as it features an external hydration sleeve, but also has the Stow-on-the-go trekking pole attachment system and an ice tool attachment loop to hold your sticks. You may also attach your helmet thanks to the Lid Lock on the backpack. The frame is adjustable and the backpack is so comfy. Even though it’s not the perfect hiking backpack out there, it’s definitely going to deliver good performance on so many short hikes. 7). 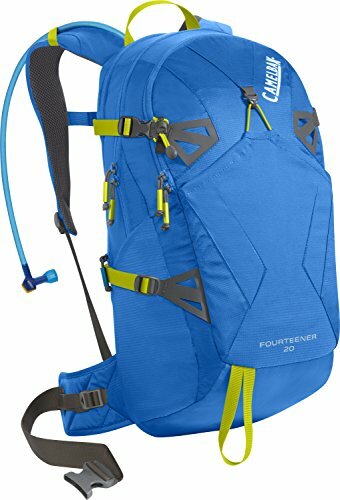 If short hike means to you a day hike on your one-week hiking expedition, you’re definitely ready to use the CamelBak 2016 Fourteener 20 Hydration Pack. Made with fabric, the backpack comes hydration ready and its reservoir has a lightweight fill port, an easy open/close cap and a Quick Link System. It also features Dryer arms, center baffling and a low profile that increases your comfort as you walk. The 3-liter antidote water reservoir is reliable for many situations. In case it’s not enough for you, the two stretch side pockets are great for carrying some extra hydration. The design of the backpack is well thought out and you may organize your items in the organizer pocket, the sunglasses and media pocket or the Quick stash overflow pocket. The tool attachment is functional and the four-point compression straps put the load under control. The internal frame sheet and the structured waist belt sustain an even distribution of the weight and the backpack rides comfy on you back. 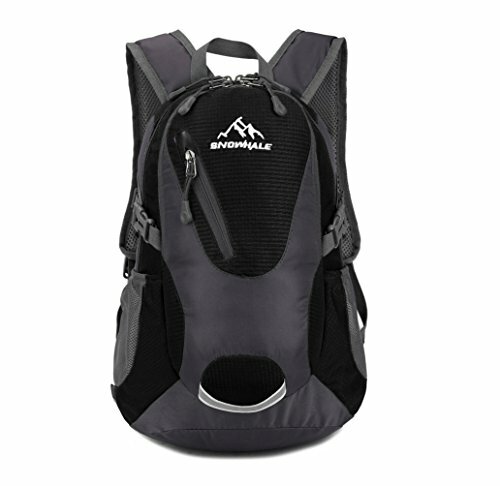 The padding on the back helps when hiking for hours and the backpack doesn’t have a bulky feel. Given the good design, the build and the long list of features, we don’t see any reasons for which you shouldn’t try the backpack.